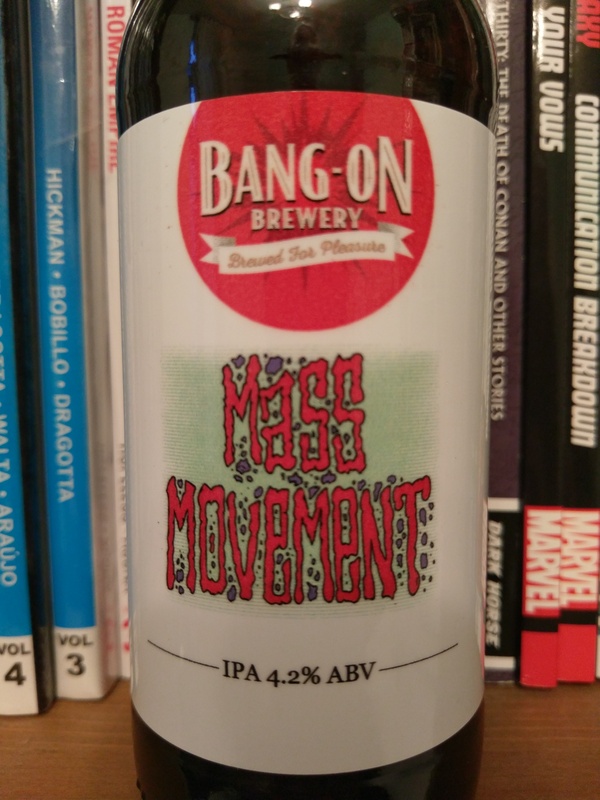 That’s right folks, Mass Movement has its own beer. Produced in collaboration with Bang-On Brewery and strolling in at a modest 4.2% ABV, it’s a session IPA designed to be enjoyed at leisure while listening to punk rock, reading comics, graphic novels and books, watching ice hockey, wrestling and all manner of genre films and series or just hanging around watching the world go by with your nearest and dearest. 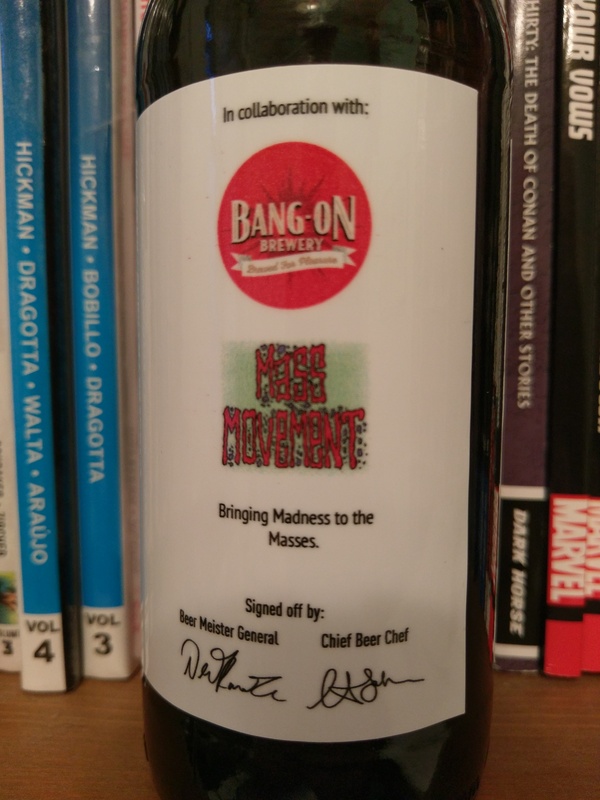 If you fancy trying some, you can order it from Bang-On via email (orders(at)bangonbrewery.beer) or by ringing them on (01656) 760790. Prices and postage depend on the quantity ordered and are available on request. Send your completed, and obviously hilarious, reply to general(at)massmovement.co.uk by Halloween (that’s October 31st) along with your name and address and if your answer is funnier than everybody else’s, you’ll get the beer. Mark the subject of your devastatingly funny quip “Beer”, because if you don’t, there’s a good chance that we’ll just assume its spam, bin it and never come to appreciate your comedic genius. *Competition is open to UK residents only as we can’t ship it overseas. Blame the revenue men and their ridiculous laws. But Bang-On should be able to ship it over the seas and through the air, so give them a call, or drop them a line, and order some.